Given the unfortunate state capture years we have experienced, this debate must be framed within the rhetoric of Mr. Dondo Mogojane, the Director-General of Treasury, who stated yesterday as follows: “We have to ensure that we take a stand. We are not a failed state, but we are on the verge of becoming a failed state and we were party to that." This is a spectacular admission of guilt and this Department has seen its fair share of state capture. The SABC, for instance, had gone through many troubling times over the years, but the Hlaudi Motsweneng-regime was unprecedented in its theft of public resources, pro-ANC propaganda, mismanagement, and witch hunting of its own employees and journalists. We are indeed glad to see the new management trying to turn the ship around, but we have yet to see accountability from all of those who was part of the destruction of an important public institution. While we do hear noises being made regarding financial accountability, it is disconcerting not to hear anything about the criminal prosecution of the individuals involved in the persecution of SABC journalists, especially the SABC 8. We are certain that a case can be made that journalist Suna Venter passed away due to the stress of being hunted by SABC henchmen and that the institution therefore has a responsibility to ensure those perpetrators are caught and tried in court for murder. Nog ‘n belangrike kwessie wat aandag verg is die Film en Publikasiewysigingswetsontwerp se poging om die internet te reguleer onder die oënskynlike oogmerk om vrouens en kinders te beskerm. 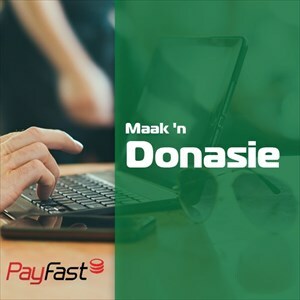 Die wysigingswetsontwerp sal uiteindelik nie implementeerbaar wees nie juis omdat die internet – ‘n globale dier - nie deur ‘n plaaslike wet alleen effektief gereguleer kan word nie. Die ANC sal moet leer dat die skep van wetgewing alleen nie op sigself sosiale probleme kan regmaak nie. Dit vererger in baie gevalle die probleem en skep vals verwagtinge rakende die oplossing. Natuurlik is hierdie wysigingswetsontwerp boonop daarop gerig om meer regulasies te skep ter wille van sentrale beheer in lyn met die Sowjet-etos van die ANC. 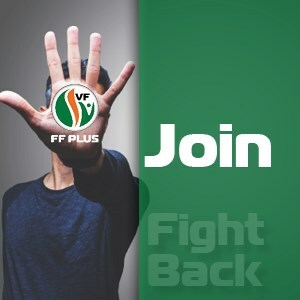 Aangesien hierdie wysigingswetsontwerp nie in lyn is met die werklikheid nie, sal dit uiteindelik faal. Given the importance of communication for the economy and the country, state capture will have to be eradicated and all obligations of the Department must be complied with in a constitutional and fair manner. If not, the Department will remain the farce it had become under state capture.